Join CyberChimps Club and 20% OFF with the promo code WPBN20. Get access to over 70+ Premium WordPress Themes. Access to new themes. Use the WordPress themes on unlimited websites. Themezly.com is offering 20% OFF on Creatus Pro for 3 domains, and Creatus Pro for unlimited domains. Unleash the power with Creatus Pro WordPress Theme and launch your website within minutes. Northeme creates elegant and responsive WordPress themes suitable for all kind of portfolio and WooCommerce websites. 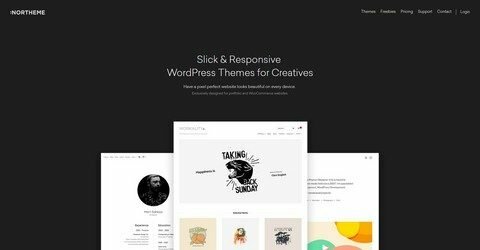 Get 10% OFF all WordPress themes from Northeme. Get 10% OFF the Rife Theme. With the awesome Rife WordPress Theme from Apollo13 Themes, you can create a beautiful and elegant website in a few minutes. No time limit. Special offer - Get 80% discount for buying a license for the 12 most used Supsystic Plugins: Get Supsystic awesome bundle now and save over $300! No time limit. 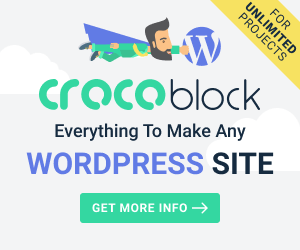 Get 10% off on all 25+ premium WordPress themes by AccessPress themes. Their themes include popular WordPress parallax theme - AccessPress Parallax. No time limit. Get 10% discount on all 15+ great premium WordPress themes by 8Degree themes. Their themes portfolio includes: Online store themes, magazine themes, blog themes etc. No time limit. Get 10% discount on all advertisement offers at WPAll Club. Their services include WordPress themes/plugins review, sponsored posts, competitions, directory listing etc. No time limit. Web Watchdog keeping your website – secured, protected and maintained. All readers at WP Pluginsify get 20% OFF any service plans from Web Watchdog by using the discount code. No time limit. WP Buffs is one of the best technical support partners for any business with a WordPress site. All readers at WP Breaking News get 25% off any maintenance plan from WP Buffs by using the password. No time limit. You can build a professional website with handcrafted WordPress themes from ThemeXpert. All readers at WP Breaking News get 20% Off any membership plans from ThemeXpert by using the code. No time limit. The WordPress themes from SoloStream is a perfect solution for any online business. All readers at WP Breaking News get 50% Off any membership plans from SoloStream by using the code. No time limit. ThemeFuse create and design highly professional, trendy and awesome WordPress themes. All readers at WP Pluginsify get 25% discount on all products from ThemeFuse by using the code. No time limit. HappyThemes make WordPress themes that are clean, fast loading and flexible. All readers at WP Breaking News get 20% discount on all WordPress themes from HappyThemes by using the code. No time limit. Premiumcoding offers premium WordPress themes for corporate and personal use. 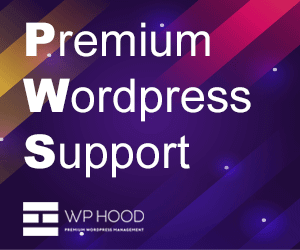 All readers at WP Breaking News get 25% discount on all themes from PremiumCoding by using the code. No time limit. At MasterBundles marketplace you can save up to 90% buying design resources. 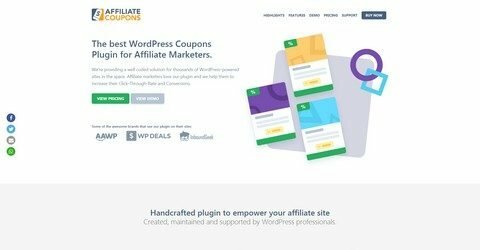 All readers at WP Breaking News get 20% discount on all WordPress themes & bundles from MasterBundles by using the code. No time limit. Take your business website to next level with ThemeHunk. All readers at WP Breaking News get 20% discount on all WP themes & bundles from ThemeHunk by using the code. No time limit. Themely helping you build better websites with simple & elegant Wordpress themes. All readers at WP Breaking News get 20% discount on all WordPress themes from Themely by using the code. No time limit. Security Ninja WordPress Plugin helps thousands to stay safe and prevent downtime. All readers at WP Breaking News get 25% discount pre-applied on Security Ninja. No Code Needed. No time limit. Create a map with Google Maps Widget for your WordPress site in minutes. Join over 100,000 active users. All readers at WP Breaking News get 25% discount pre-applied on Google Maps Widget. No Code Needed. No time limit.